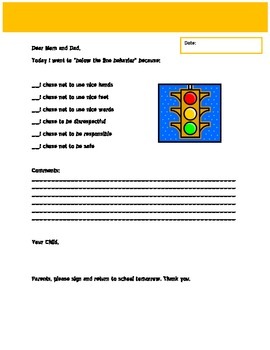 This product includes two parent contact sheets: one for below the line behavior, and the other for bottom line behavior. They can be used with an "Above the Line" classroom management system. The letters are written from the child to the parent. 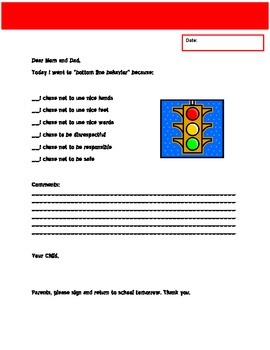 In my classroom, the child needs to choose which of the rules he/she broke, and write a letter of explanation to the parents, including ideas for what he/she needs to do next time to avoid going down to bottom line and below the line.